"Diet is at least 70% of the battle in terms of getting the results that you want"
Transform Your Body & Change Your Life Forever! "Diet is at least 70% of the battle in terms of getting the results you want." Think of it this way - it's a lot easier to consume 1000 calories (in one quick meal) than it is to burn 1000 calories (approximately 90 minutes of exercise). Our contracted dietitian/nutritionist will spend dedicated time customizing a meal plan specifically designed for you and suggest strategies for overcoming emotional eating, negative thinking, poor body image and monitoring progress. In the beginning, just 30-60 minutes weekly is enought time to make significan changes to your relationship with food. A nutrition coach can provide you with the support, education and accountability to completely revamp your eating habits and lifestyle Achieveing weight loss results is all about creating the right environment for change to occur. Do you want to lose a significant amount of weight? Has your doctor suggested you need to start taking better care of yourself? Is your blood pressure, cholesterol and overall health not optimal? Do you want to strengthen your immunity and reduce illness? Do you want to minimize your risk for various diseases? 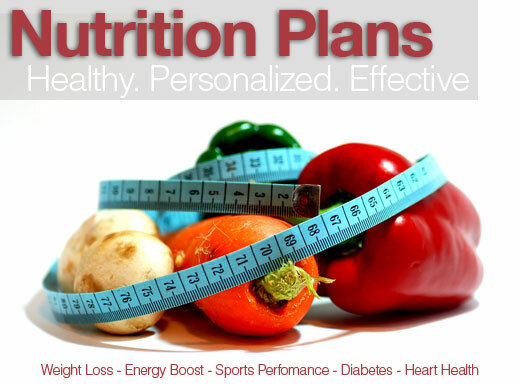 If you answered yes to any of these questions, a personalized nutrition plan would benefit your health significantly.